As a small child I loved painting flowers but accepted I couldn't really make a living that way. So after leaving school (long, long ago!) I travelled from Kent up to North Wales to train as a florist to combine my love of nature and creativity. I have been in the floristry industry ever since but still manage to paint when I can too. (I have added images of my paintings at the bottom of this page). It is a real pleasure to have such a beautiful and varied job, what is there not to love about being a wedding florist? Every week I look forward to working with a fresh profusion of gorgeous flowers, fabulous foliages in an array of colours and amazing textures and no two weeks are ever the same. I decorate some of the most amazing wedding venues in Kent and the South East, and marvel at their stunning grounds and gardens. I meet some amazing , fun and creative couples and if that wasn't enough I am lucky to have a great little workshop nestled right in my garden in the country, so really I ask you what could be better? Your wedding flowers should be a reflection and expression of who you are so we embrace and encourage personal flower designs with unique details and perfect finishing touches, the creation of something extraordinary, just for you! I hold many top industry qualifications all at the highest levels. In my floristry career I have worked abroad, in top hotels, had my own retail shop in Sevenoaks, demonstrated and taught floristry at Hadlow college but my heart has always been in wedding floristry, I just love all those fiddly bits that others don't have the patience for. Having tip top flowers at the peak of lusciousness (is that a word?) 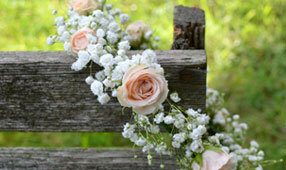 is absolutely vital for any wedding florist. So I have a variety of trusted sources who provide the very best fresh materials for me. Local flower farms grow blooms that can be hand picked at the perfect stage of opening. For the more rustic weddings I use local flower growers where I can cut wild and garden flowers, peony farms for properly perfect peonies, wholesalers when only imported flowers will do, and of course my very own garden for home grown foliages, herbs and berries. All those little touches that make designs so seasonal and personal. 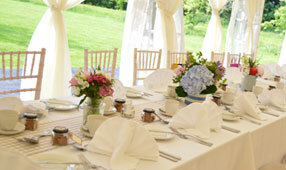 Flowers set mood, provide colour and focal points to your wedding day so they are HUGELY important! With no restriction of a shop it means that I have time and energy to focus fully on every client and event, whether it's sourcing containers, matching lace, ribbons, broaches, beads, buttons etc or just simply being there for you with advice or to answer questions. In any spare time that I have (not much alas)! I can be found painting flora and fauna as a botanical artist. I belong to The Bedgebury Pinetum Florilegium Society and do occasionally exhibit my paintings of flowers and plants around Kent and London. Here are some samples as promised of my paintings below.